Myrna Loy. Various photos featuring the lovely Miss Myrna Loy during the early part of her tenure on the screen.. 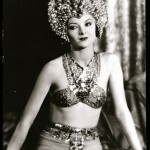 Images in the Classic Movies club tagged: myrna loy actress classic movies.